Alaipayuthey was directed by Mani Ratnam and co-starred Shalini, Jayasudha, Vivek and Swarnamalya. Film was a critical and commercial hit. Film tells the story of software engineer who falls in love with a medical student whom he met at wedding. Their parents meet to discuss about their wedding but due to differences the wedding is called off. The girl is not ready to marry him without the consent of her parents. But they couldn’t live without the other and secretly meet each other, finally they decide to get married secretly without telling their parents. 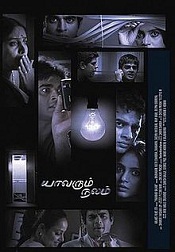 Minnale was directed by Gautham Menon and co-starred Abbas, Reemma Sen, Vivek and Nagesh. Film tells the story of two engineering students studying in Ooty. One student is a bad guy and other is an intelligent student, they become enemies after playing pranks against each other. They start to hate each other and after the college they decide never to meet again in life. One goes to abroad for finding lucrative job and other settles in India with his grandfather. Rest of the story is about what happens to their life thereafter. Dumm Dumm Dumm was directed by Azhagam Perumal and co-starred Jyothika, Manivannan, Vivek and Murali. Film tells the story of marriage between a groom from the city and a bride form a village. But the groom is not happy with the marriage he is not ready to sacrifice his carefree lifestyle for a girl and the bride is also against the marriage because she wants to pursue her higher studies. When they really want to stop the wedding it was interrupted by a big fight, rest of the story is how they reunite. Run was directed by N. Linguswamy and co-starred Meera Jasmine, Vivek, Atul Kulkarni and Raghuvaran. Movie was a blockbuster hit of the year. Film tells the story of young college student who falls in love with sister of a gangster. Girl warns him not to follow her but the guy is persistent in his love and makes her fall in live finally. But her brother is against their love and sends the goons to beat him up, but protagonist beats up their guy and elopes with the girl. Rang De Basanti was directed by Rakeysh Omprakash Mehra and co-starred Aamir Khan, Siddharth Narayan, Sharman Joshi and Soha Ali Khan. Film was made with budget of INR250 million and earned INR925 million at box office. Film tells the story of five young men agreeing to act in a film shot by a British filmmaker. Story deals with the freedom fighters of India. But while working for the film his friend was killed in aircraft crash the reason was the corruption in defence purchases. The corrupt defence minister purchased cheap MiG-21 aircraft spare parts from the dealers for bribe and now the five young men decide to take the person who is responsible for the death of their friend. Guru was directed by Mani Ratnam and co-starred Abhishek Bachchan, Aishwarya Rai Bachchan, Arya Babbar and Vidya Balan. Film was made with budget of INR150 million and earned INR812 million at box office. Film tells the story of young man in village who dreams of going big in his life. His father is a village teacher and asks him not to think too much in life. He goes to Turkey and starts his own price trading. He marries a girl for dowry and starts a textile industry in Bombay. Subsequently he expands his business ruthlessly and also involves in corrupt ways to make money. 13B Yavarum Nalam was directed by Vikram Kumar and co-starred Neetu Chandra, Sachin Khedekar, Deepak Dobriyal and Murli Sharma. Film was made with budget of INR6 crore and earned INR24 crore at box office. Film tells the story of young man who realises his dream of living in an apartment ie 13B, 13th floor. His family members are addicted to TV serial titled Yavarum Nalam, the serial is exact resemblance of protagonist life, each incident has similarity to his life. He subsequently comes to know that in their apartment a family of eight was butchered in 1977. 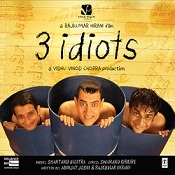 3 Idiots was directed by Rajkumar Hirani and co-starred Aamir Khan, Kareena Kapoor, Sharman Joshi and Boman Irani. Film was made with budget of INR35 crore and earned INR392 crore at box office. Film tells the story of three young college students studying in engineering college. Three of them are unique in their nature and studies, first one of them is a genius, second one is interested in wildlife photography and third one is a scared student. After their graduation they part apart and they go in different ways. After several years they plan to meet and go in search of first one whose identity is in mystery. 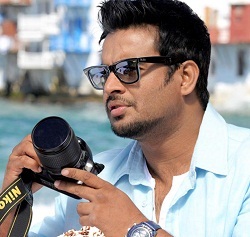 Tanu Weds Manu was directed by Anand L. Rai and co-starred Kangna Ranaut, Jimmy Shergill and Eijaz Khan. Film was made with budget of INR175 million and earned INR560 million at box office. Film tells the story of NRI doctor living in London and coming to India in search of bride. His family already chose a girl for him and wants to him to marry her. When he goes to talk to her she falls asleep, thinking she is shy protagonist agrees to marry her. But when he finally talks to her she says that she is in love with a guy and wants him to tell their parents that he is not willing to marry. Jodi Breakers was directed by Ashwini Chaudhary and co-starred Bipasha Basu, Omi Vaidya and Dipannita Sharma. Film was made with budget of INR210 million and earned INR334 million at box office. Film tells the story of young bachelor who works as a divorce managing officer and makes huge money. A beautiful girl joins him in their business and they are popularly known as Jodi Breakers. Sometimes they resort to immoral ways like making the couple fight.